On Sunday, on a whim, I went down to Edinburgh. 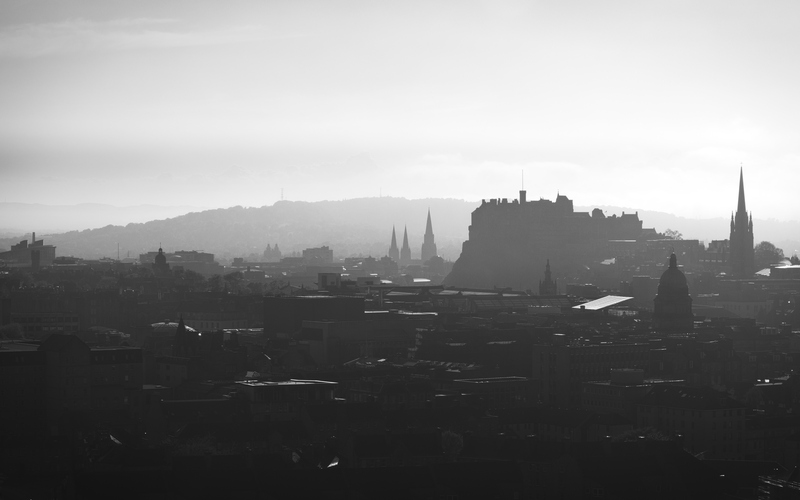 As always, the city was fairly heaving but I revisited one of my favourite locations – the Radical Road along the Salisbury Crags, which affords an excellent view from Blackford Hill round to the Parliament buildings. So I tested the Pen-F’s timelapse video ability for the first time. The camera makes it a breeze: set up the scene (lots of filters to cope with the lighting), set it in aperture-priority mode, 300 frames at 5s intervals, push the button and off it goes. And nature provided! – simply point the camera at the city and watch the sea haar roll in, great low clouds of misty fog, obscuring the castle within minutes. First time I’ve made a 4K video… unfortunately the results from the camera weren’t quite up to the quality I expected, so I reprocessed all the RAW ORF files on the notebook in bulk (using RawTherapee) and rendered the official video myself with ffmpeg. I also made a wide panorama – 5 frames each in 80-megapixel high resolution mode; lots of image data, nicely stitched in Hugin as usual. This entry was posted in daily, Landscape, photos, Scotland, urban-landscape and tagged 4K, city, cloud, Edinburgh, fog, haar, landscape, mist, Olympus PEN-F, photos, timelapse, urban, video, weather.